The AWESOME 1AWESOME stands for “Advancing Women’s Equity through a Strategy of Meaningful Engagement.” The initial conceptualization of the project was to create a model to engage marginalized women in health services and systems planning, but it expanded to include marginalized populations of any gender. project, funded by the Canadian Foundation for Healthcare Improvement (CFHI), was a project to create a model to meaningfully marginalized populations in healthcare services and systems planning. 1. 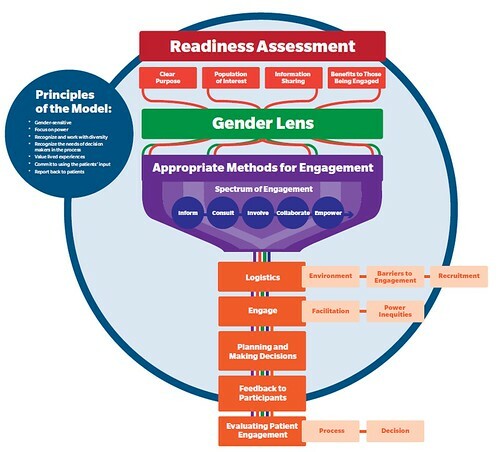 ↑ AWESOME stands for “Advancing Women’s Equity through a Strategy of Meaningful Engagement.” The initial conceptualization of the project was to create a model to engage marginalized women in health services and systems planning, but it expanded to include marginalized populations of any gender.